On sale while supplies last. 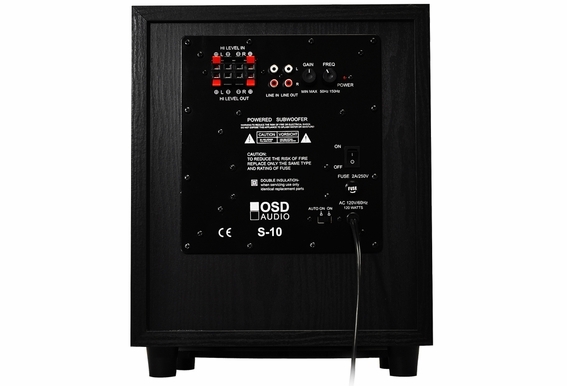 No home theater is complete without the rumbling, pull-you-into-the action effect of a subwoofer, and the Outdoor Speaker Depot S-10 Home Theater Subwoofer may be exactly what you need. 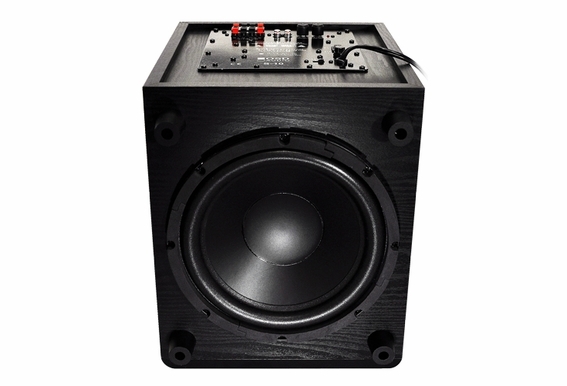 This stand-alone subwoofer includes a 10-inch driver and 120 watts of power, so it's perfect for rooms that have approximately 300 square feet of space. 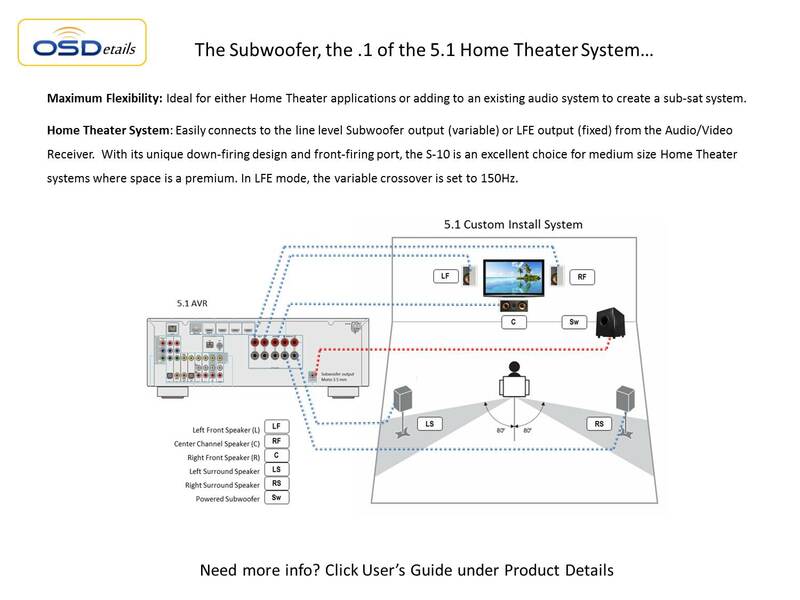 You can also use this home theater subwoofer to add bass to your satellite or two-channel system. Just about anyone can hook up the S-10. 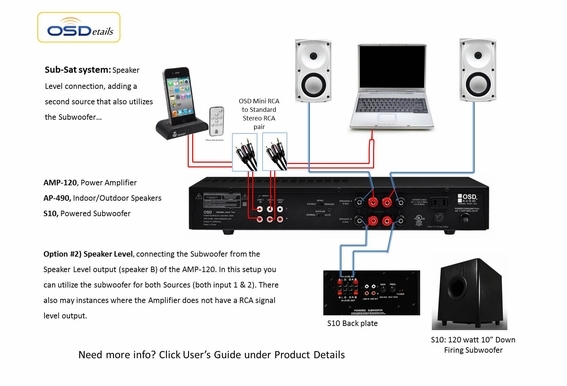 It connects to the line level subwoofer output (variable) or LFE output (fixed) on your audio/video receiver and since it includes a built-in amp, there are no additional power requirements to worry about. The S-10 has a relatively small footprint and won’t take up much space. 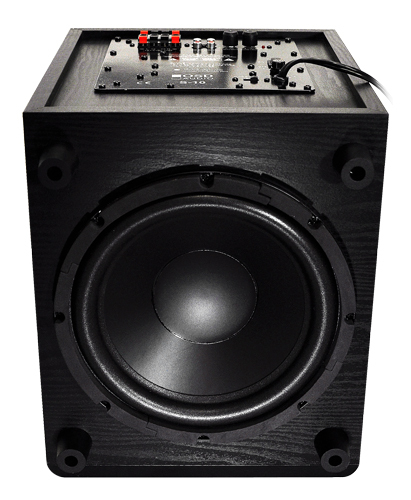 Just keep in mind that powered subwoofers are darn heavy; the S-10 is almost 30 pounds so be careful when lifting. What do you mean by down-firing sub? 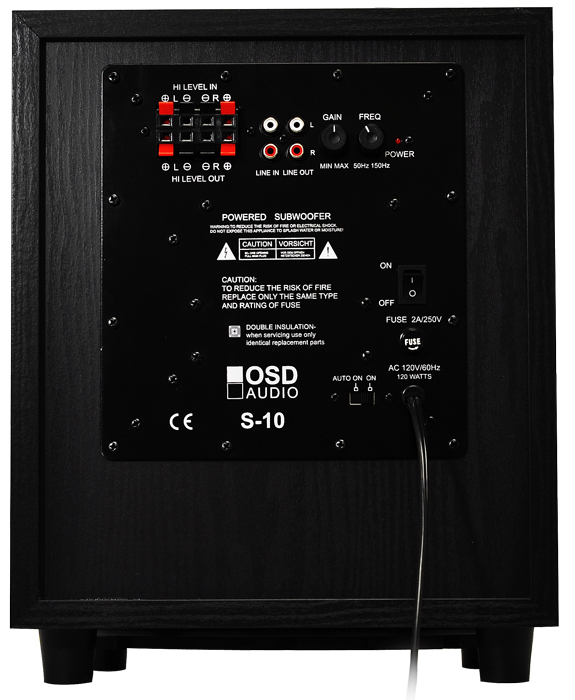 The S-10 uses a down-firing design, which means the speaker is mounted at the bottom of the cabinet firing down into the floor. 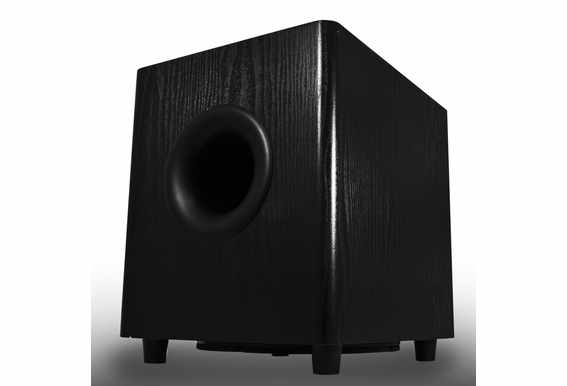 The bass distribution of this design is typically more equal and precise than front-firing subwoofers, but down-firing subs work best when firing into hard wood floors or hard surfaces. If you have carpets, you may want to cut a piece of wood and place directly under the subwoofer’s feet. Zoom into the pictures and you'll see that the S-10 has a front firing tuned 3-inch port. The down firing, front tuned port design allows the sub cabinet to be smaller, more efficient and ultimately a better bang for your buck! Dimensions: (H x W x D) 14 1/2" x 11 1/2" x 13 3/4"
I plugged the standard sub woofer cable into my receiver and tried both IN terminals on the subwoofer. I am hearing nothing. What am I doing wrong? HI James: Have you gone in and programmed the sub woofer output on your Audio/Video Receiver. 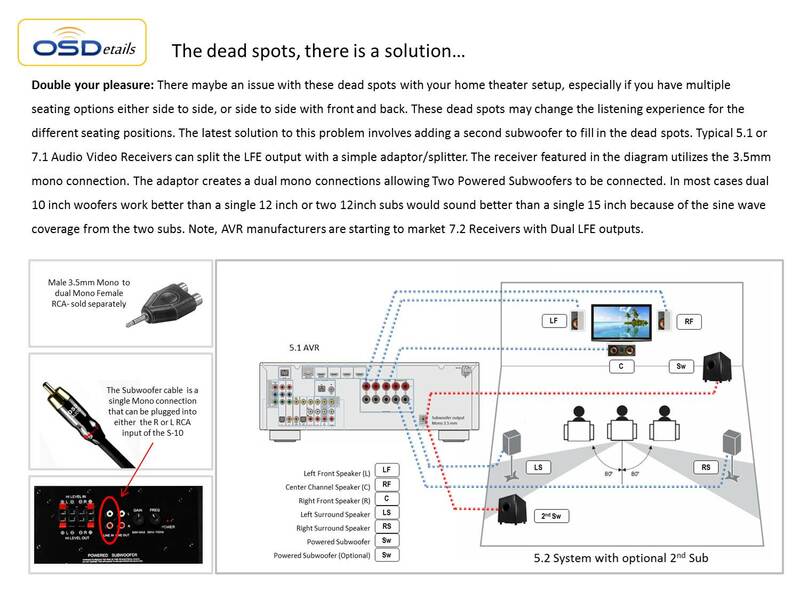 Most Receivers feature a setup menu where you adjust the volume level of the sub and it will send a test sign wave signal (you want to make sure you have an active signal from the AVR). On the sub woofer itself does the red power light come on? Are you set to On or Auto on? The power switch needs to be on in either case. 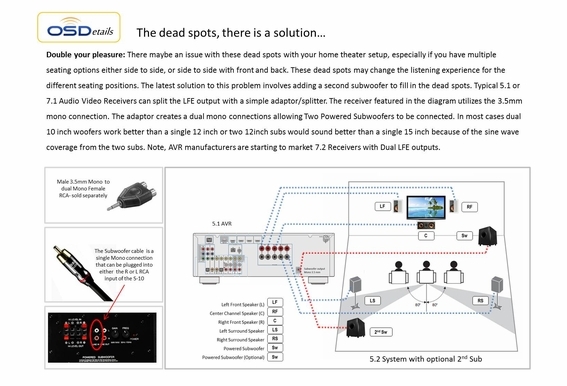 Make sure your connected to the input side of the RCA connectors (either R or L input should work). There is also a fuse you can check if the light is not coming on. 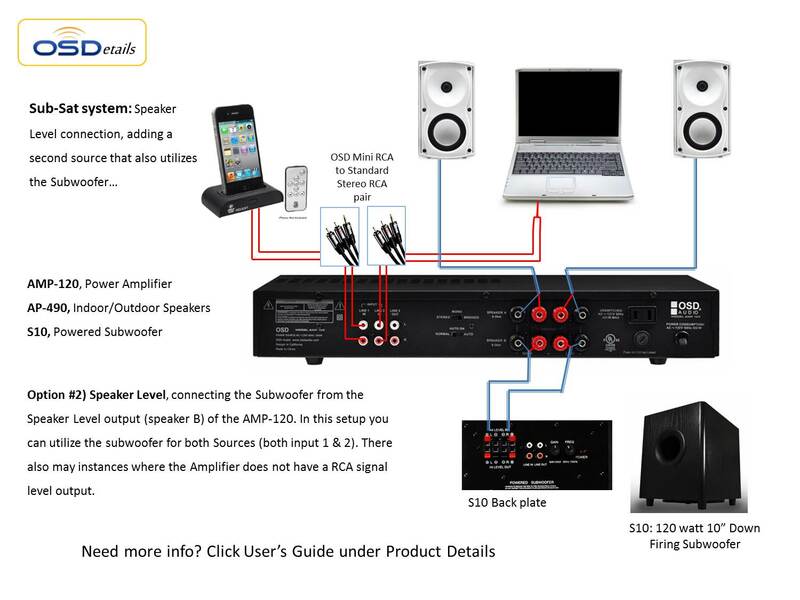 Hello, This is a self-powered subwoofer with its own built-in amplifier, so you don't need to power it with another receiver/amp. But, I believe the internal woofer runs at 4ohms. In auto-sensing mode, I'm finding the unit turns itself off during a 3-minute quiet-ish song, and it seems to take at least 30 seconds for it to wake up again. I'm having to leave it in ON mode to ensure it stays on throughout an album on CD. I would rather have it set to auto-sensing as this is clearly more convenient and I'd rather not have to turn it off with the switch as it's an awkward reach. Is this unit defective? By the way, how much power does it use in when in standby? 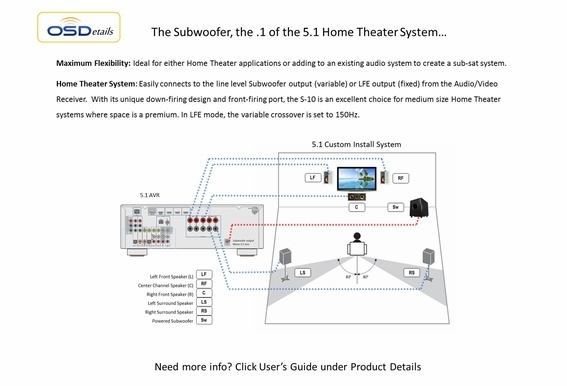 If I connect the Speaker Level Input to the Subwoofer and from the Speaker Level Output my In-ceiling speakers, would my in-ceiling speakers get amplified by the power amp from the subwoofer? I mean, can I increase the power to the pair of speakers by hooking them up from the subwoofer? If any of you can make this test I would be very thankful. Thanks a lot for your answers! 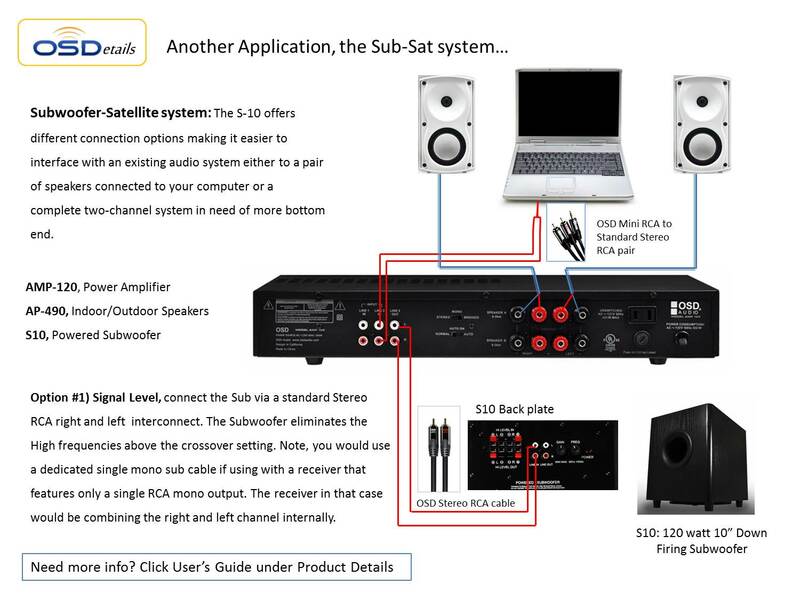 You can use the standard sub-woofer cable (we sell them under subwoofer category) or regular speaker cable. 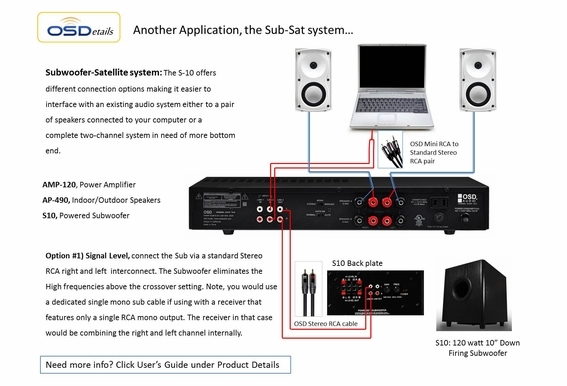 But the subwoofer cable is easier to connect, just plug-n-play.